For most organizations, up to 25% of revenues are consumed by waste. Each 10% reduction in wasteful activity can contribute as much as 2.5% to their bottom line. Lean Sigma helps you accelerate the performance of your current processes and has a multitude of applications. Our LEAN course includes real world case studies, tools and templates and everything else you need to put the powerful concepts of LEAN to immediate use. Staff Worried About the Intent? Viewpoint: Who is the Customer? 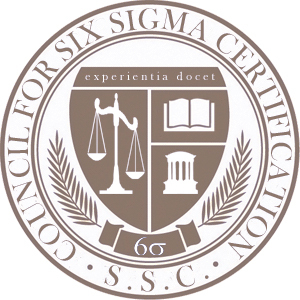 What Does "Six Sigma" Mean? Why 3.4 Parts Per Million? Where is the Healthcare Industry Today? Control Charts and "Fix or Six"
Why Fewer Samples in Lean? What is a "Future State?" How Often Will You "Check?" Relationship Maps: As-is vs. "Might be"
What Improvements Will Be Needed?